This year, in the spring break, we made our adventure trip to Iceland. I would defiantly recommend visiting this country, while glaciers still exist. Make sure to carry boots and rain jackets for unpredictable Icelandic weather! 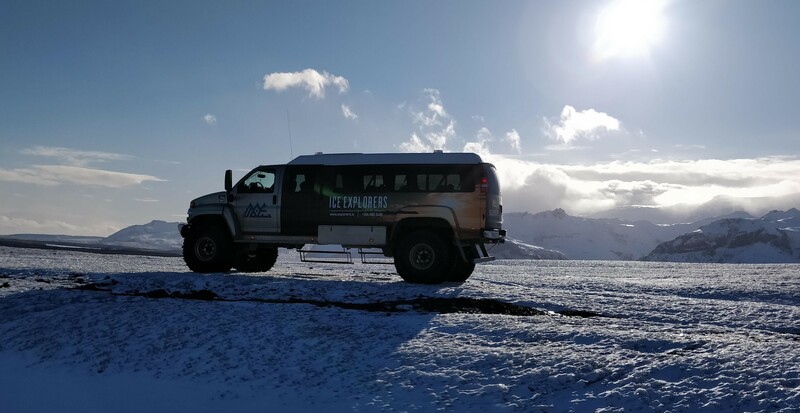 During your self-drive in Iceland, you will traverse a mountain pass, over glacial rivers and through stunning lava fields. Day 1 – We arrived early morning at Keflavik Airport and started our day driving down the Iceland South Coast within the classic Golden Circle – Iceland’s most popular attractions, including Thingvellir National Park, the hot springs of the Haukadalur geothermal area, the majestic Gullfoss waterfall and the old implosion crater of Kerið. Thingvellir National Park is where the two tectonic plates separate Europe and North America. It has been the site of many special moments in history. The Icelandic parliament, The Althing, was established here around 930 AD and on 17 June 1944, Icelanders celebrated their independence from Denmark in Thingvellir. It is a nice park to walk around in and see the plates divide. You usually need only 30 minutes to an hour here. 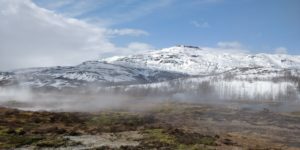 We visited Strokkur Geyser – Haukadalur geothermal area next, which contains boiling mud pits, the smell of sulfur, and lively geysers at Geysir Hot Spring Area. It was amazing to capture geysers’ eruptions (every 7-10 minutes). Our next destination on the Iceland Golden Circle, and a top attraction, is a massive, stunning waterfall Gullfoss, an epic sight to behold. 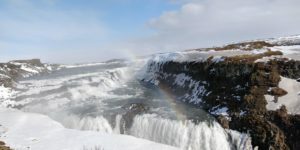 Unlike most waterfalls that you stand under, you actually stand above and gaze down into Gullfoss. The ‘Golden Waterfall’ is a breathtaking two-tiered waterfall that drops 32 meters into a narrow canyon 70 meters deep and 2.5 km long. Standing above the falls is a stone memorial to Sigríður Tómasdóttir, who, a number of years ago, threatened to throw herself into the falls in protest against foreign investors who wanted to buy the waterfalls and use them as a power supply. The government eventually intervened, bought the falls and made them the property of the Icelandic nation. We tried finding another hidden treasure of Bruarfoss Waterfall, however due to weather conditions, some roads were closed. It needed a hike of about 3.5 km and we missed that point. Kerið Crater Lake – the old implosion crater of Kerið was next. 55 meters deep, the crater is 3000 years old, and part of the larger Tjarnarhólar area, a collection of crater-hills. 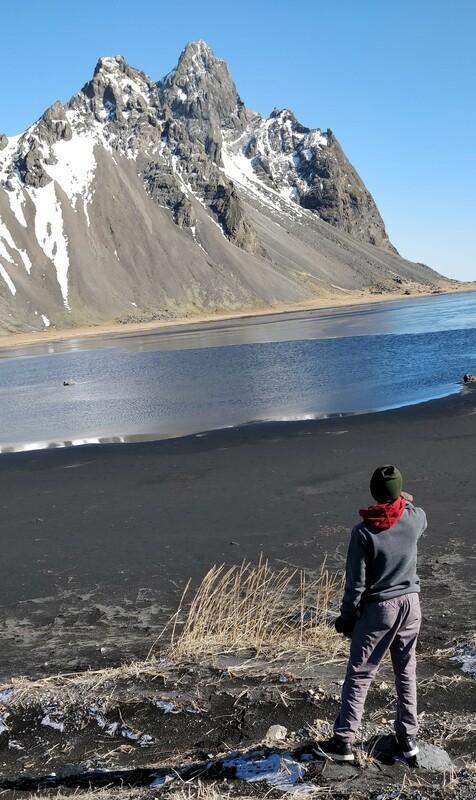 The story goes that when the water level rises in Kerið, it falls an equal amount in the small lake on the mountain Búrfell in the Grímsnes district, and vice versa. It’s like some mystical seesaw! The following destination was relaxing one – a secret lagoon of natural hot springs located in the small village called Fludir. The pool’s natural surroundings and steam rising into the air gives the place a magical feeling. Our night stay was in Selfoss, a small town. 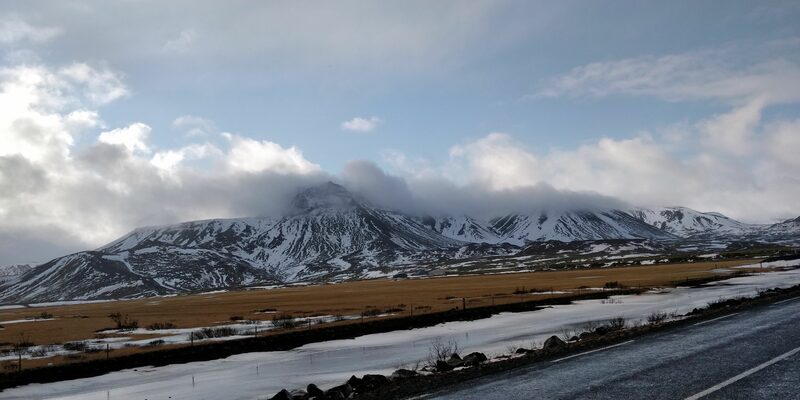 Day 2 – They say if you don’t like the weather in Iceland, just wait for 5 minutes. It’s very true. Today, we amazingly experienced changing weather from bright sunny to cloudy, rainy, hailing and windy. Our first stop was Lava center (lavacenter.is), a very impressive exhibition of Iceland’s volcanic activity, located on ring road at Hvolsvollur. It’s a must see to experience the magma chamber, an earthquake simulator and volcano, which erupt on interactive screens. This gives a great understanding of the power of Icelandic nature and its sleeping giants. Our next fascinating stop was Seljalandsfoss Waterfall. Both our kids walked behind! Although beautiful, they much preferred the hidden Gljúfrabúi Waterfall in all of its glory! Its about 1/4 of a mile walk to the left. On our way along the south coast, we drove past the popular bra fence next to the Cave Steinahellir. Our next stop was the Skogar Museum, home of Iceland’s cultural heritage, boasting an array of interesting artifacts, including an original turf farm that shows how people lived hundreds of years ago (skogasafn.is). From here, it’s walking distance to the massive, stunning, Skogafoss Waterfall, a magnificent 60-metre high waterfall where, according to legend, the first Viking settler in the area hid a treasure in the cave behind the cascade. If you thought the first two waterfalls were epic, you are in for a real treat! It was a great spot for s rainbow picture. This stop is a “must”, as it is one of the most iconic spots in the country. An exciting hike of about 1.5 km from route 1, led us to see Sólheimajökull, one of the most easily accessible glaciers of the mighty icecap of Mýrdalsjökull on the South Coast of Iceland. The nearby Eyjafjallajökull erupted in 2010, causing widespread havoc at European airports. Because of severe weather conditions, we could not go to the Sólheimasandur Airplane Wreck, where an abandoned US plane is located and ended our day driving back to Selfoss. Tonight, we enjoyed great vegan food on main street in Selfoss at Kaffi Krus, a very co-operative and friendly environment with variety of vegan dishes (kaffikrus.is). 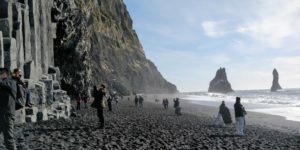 Day 3 – On this day, our first stop is Dyrhólaey, a 120-metre high promontory jutting out into the Atlantic Ocean, looming over the Reynisfjara black volcanic beach, with its century-old lighthouse. A spectacular sight to behold, its natural arch and prominent hole were sculpted over millennia from the force of the waves. Owing to its unique shape, its Icelandic name translates to “door hill island”. 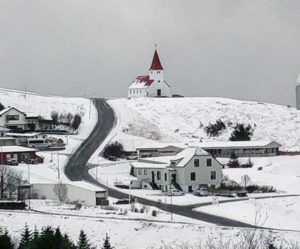 Next stop: Vik, a town famed for its natural beauty and mild climate with approximately 300 inhabitants, an official trading post since 1887. We visited the Skaftfellingur Museum, a nearly 100-⁠year old oak ship on display, along with the ship’s equipment. It recounts tales of a number of marine accidents that occurred off the South Coast of Iceland and a video from the 1950s about the Skaftfellingur ship. As it was lunch time, we enjoyed one of the best soups at the local family owned soup company, located in the heart of Vik (thesoupcompanyiceland.com). We simply loved the delicious vegetarian soup with freshly baked bread on a cold rainy day. 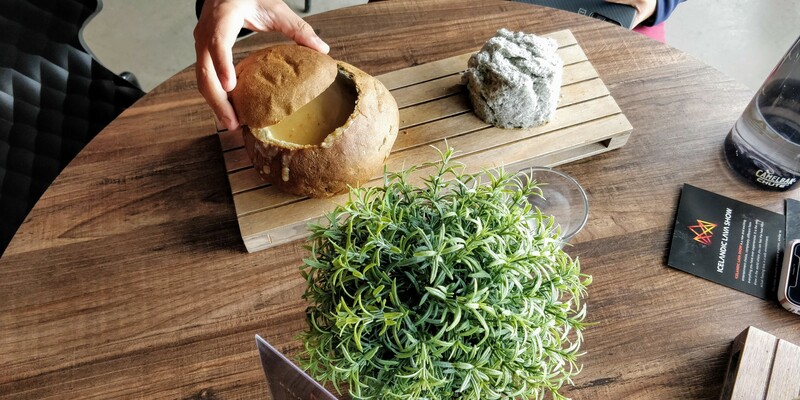 The special light blue color of soup was created from burnt wood ashes. In the same building, we also had unique experience of red-hot lava at newly started Icelandic Lava Show, recreating volcano eruption by pouring molten lava into a room full of people (icelandiclavashow.com). Leaving Dyrhólaey, we started driving to Skaftafell National Park. Part of the Iceland’s largest national park, Vatnajokull, at 5,000 km2, it is a place of immense natural beauty, a variety of landscapes, icebergs, canyons, hanging valleys, ice tunnels, arches, glacial rivers and much more. Going through off-road on gravel and passing over potholes for about 2km was worth it, when we enjoyed a wonderful glacier lagoon that close. We stopped over at spectacular Diamond Beach near Jökulsárlón, right next to the lagoon, where chunks of ice wash ashore and are scattered like huge diamonds, glistening against the stark black sands. Tonight, at Hofn, we were lucky enough to see the northern lights. It was amazing to chase the light in nighttime and see those dancing green colors. 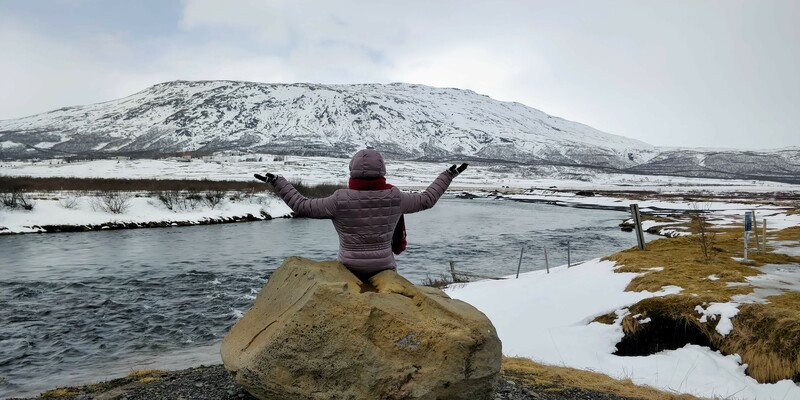 Day 4 – We began the morning admiring the black sand and Viking village, the afternoon checking out glaciers and lava fields and the evening driving to the city of Hofn and enjoying its harbor. By driving down a small gravel road twisting away from the main route between Höfn and Djúpivogur, we found a Viking village in Vestrahorn mountain. A film set for an Icelandic movie that was never filmed, it was nice to explore on how Vikings lived. 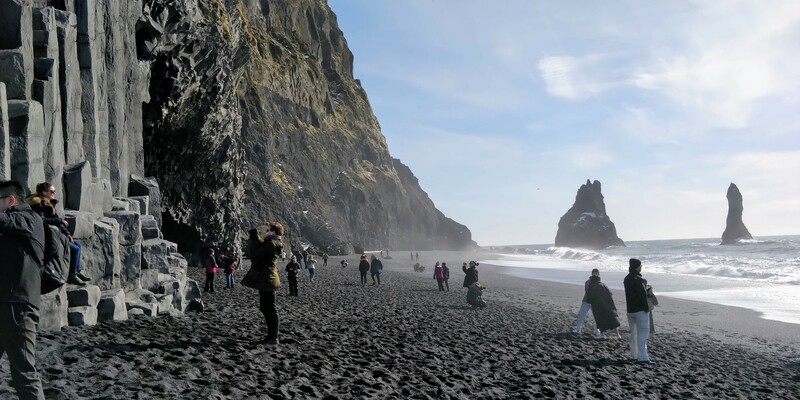 Nearby, we walked on black sand beach and saw the observation gallery. The farmer’s horses graze nearby on the fields beneath the shadow of the mountain, adding extra authenticity to the surroundings. 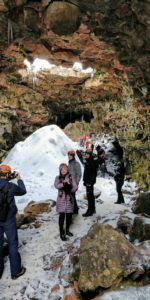 In the afternoon, we put on crampons and helmets to take an adventure tour of a glacier walk and ice cave exploration with Ice Explorers of Vatnajokull (explorers.is). The tour guide was very humorous, taking us through gravel road and glaciers in super jeep, which was exceptional experience. 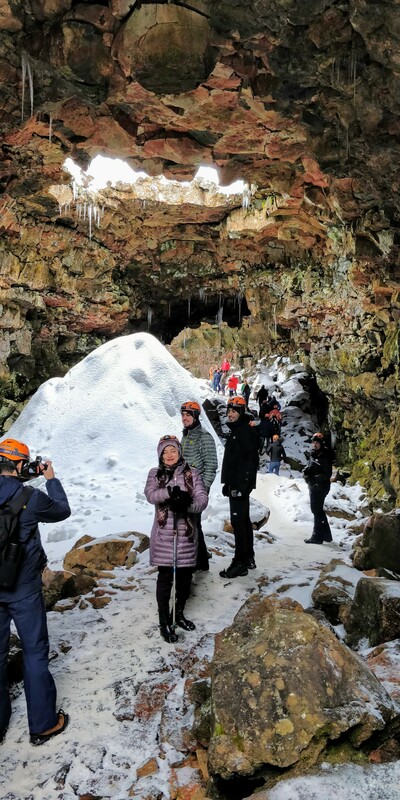 We loved the glacier hike and spectacular ice cave walk. On return, once again we spent some time on Diamond Beach for photograhs near Jokulsarlon. 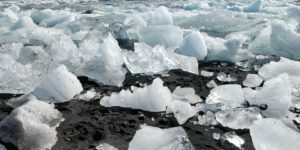 The rest of the time we spent at Jokulsarlon Glacier Ice Lagoon, where blockbusters such as Tomb Raider, Batman Begins, Shah Rukh Khan’s Dilwalee and 2 James Bond films: A View to a Kill, along with Die Another Day, were filmed. It’s not surprising why famous directors would choose this amazing location as a backdrop! This extremely picturesque glacial lagoon, at the southern edge of the Vatnajökull glacier, is regarded as one of Iceland’s greatest natural wonders. Huge chunks of ice regularly calve off the glacier and make their way to the sea via the glacier lagoon. From land we also spotted playful seals swimming in the chilly waters. We could not do the Amphibian Boat Tour, as it closed at 5pm. That evening, we had a very delicious dinner at Ishusid Pizzeria (ishusidpizzeria.is) in the Hofn harbor area. Day 5 – On our way back to Reykjavik, we visited Reynisfjara, the most famous beach in all of Iceland, with its black volcanic sands, smooth pebbles, unique rock formations, overall moody atmosphere and (more on this below) huge waves crashing on the shore. From the beach, our family enjoyed a view to the Reynisdrangar sea stacks. These bizarre looking rock pillars are basalt columns that were once part of the extensive shoreline cliffs that remained standing, while other parts were battered down by the ocean. Climbing on them, we got some unforgettable photos! But watch out for deadly “sneaker waves” here in Reynisfjara. We spent the remainingpart of Day 5 in downtown of Reykjavik, exploring the Saga Museum, Arora Reykjavik, Sun Voyager (a famous statue), walking around waterfront, Perlan (one of the great landmarks in Reykjavik), Old Harbor & enjoying the famous ice-cream of Valdis. Saga Museum is jam-packed with information about the Viking settlers and it uses life-like replicas of Icelandic historical figures to recreate key moments in Iceland’s history. We enjoyed dressing up as Vikings and taking pictures at Saga museum. The iconic Perlan building towers over the city from the top of a hill in the Öskjuhlíð area. A hemispherical structure, it builds on top of a six aluminum-sided tanks, each of which can contain 4 million liters of water averaging 85°C (185°F), providing an unmatched, panoramic view of the capital area from its observation deck. Kids enjoyed immersing themselves in several exhibits of wild Icelandic nature, an ice cave and the Arora Northern light planetarium. Dining was at the famous Hilton Nordica’s VOX Restaurant. Day 6 – Visited the famous Lava tunnel (thelavatunnel.is), just 30 minutes from downtown, created by a mighty power of a volcanic eruption that took place over 5000 years ago. We learned about the dynamics of volcanic eruptions and their effect on the surroundings. Huge ice sculptures and icicles filled up interior where 3 big holes formed as cave collapsed. Our next stop at geothermal exhibition “ON” power plant (geothermalexhibition.com) where we explore the utilization of geothermal energy for heated water, earthquake sound simulator, the turbines at work and mineral collection. Next was riding on Icelandic horses and discovering the unique volcanic landscape. 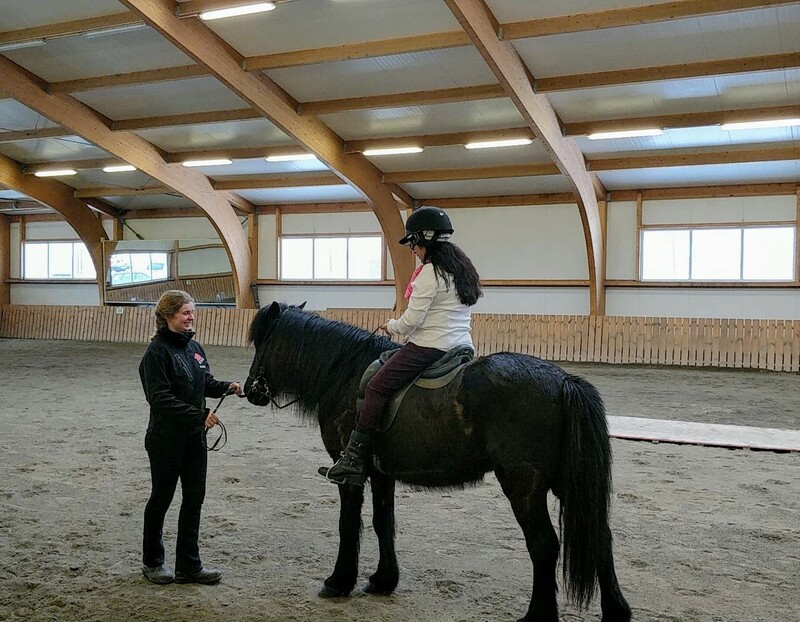 Due to sudden change in weather, we ended up spending time learning about the horses at Eldhestar (eldhestar.is). 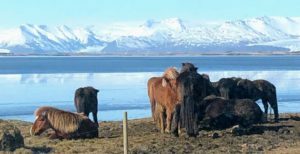 The equines arrived here on the Viking ships of the settlers over a thousand years ago and adapted to the harsh environment, resulting in a special breed unique to this country. We learned about this amazing animal; its unique ‘tölt’ gait, small stature, and spirited but friendly temperament. Eldhestar has about 350 horses and also offers a horse show. We were able to ride the horses indoors and experienced tolt gait, as well as watching the changing of the horse shoe. 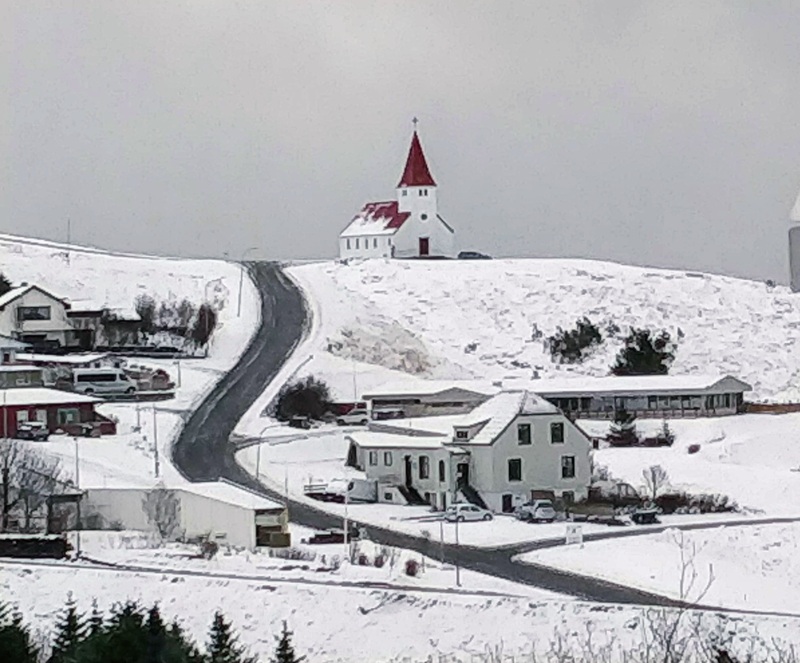 The rest of the day was spent shopping on Laugavegur Street, visiting Hallgrimskirkja (a famous iconic church), along with Volcano House (volcanohouse.is) and dining at Gandhi Restaurant for Indian food. Day 7 – Today, we kept to relaxation at Blue Lagoon spa. Booking in advance for a deluxe package, we enjoyed 4 hours of warm geothermal natural spring water with a face mud pack and drink before departure. It was the icing on the cake when we had an opportunity at the airport to take a picture with Hafþór, “The Strongest Man in Iceland”, who played “The Mountain” in HBO’s Season 4 of “The Game of Thrones”. Lina Shah is a freelance writer, editor, teacher, social worker and financial professional. Inspired by her father, she is a multi-talented suburban Chicagoland wife and a mother of two, who also enjoys cooking and event planning.